December is a month when ATD sponsors Employee Learning Week, which is a campaign highlighting the link between learning and achieving organizational results. Whether you work inside or outside organizations, I invite us all to think of this as a week to be more mindful about our own learning. How can we mine our own experiences for what we are learning and how we might apply those lessons in new ways? Thinking more holistically about learning can connect us to skills and resources that we may not of thought of before. Recently, I was working with a leader who was contemplating how to change to better manage several large projects facing him. He had sufficient ability to plan and organize his work for what he had accomplished, but not good enough for the big goals that lay ahead. I asked about the biggest change he had made that required a lot from him. Several years prior, this leader had lost 50 pounds by making major lifestyle changes that required exceptional discipline and an effort to build a support network for his new lifestyle. We spent time exploring what those efforts looked like. His reflection: “I never thought of applying lessons from my personal life to my work.” He is now taking this newfound awareness and applying what he learned to his new challenge of developing his focus as a leader. The interesting thing is this: lessons from our own experience tackling big goals or navigating big changes can be applied to all aspects of our life when we leave the door open for that learning to occur. Parents who have developed amazing skills at motivating teenagers or PTA committees can certainly apply these lessons to leading and collaborating in the workplace. Volunteer experiences help you develop ways to find innovative solutions to challenges and new ways to work with others. This brings me to what I’ve learned from this year of being president. 1. Take time to reflect. Taking a moment of the day—even as little as 5-10 minutes—to take a step back and capture lessons learned in a day—helps me be aware of what I’m learning. I know I’ll be tapping lessons learned from this year for a long time to come. 2. Engage! Engaging with our chapter, our volunteers, and organizations in our community is what makes this past year such an enriching experience. I’m grateful for our volunteers who are curious, knowledgeable, and experts in learning, and who apply that expertise to their own careers and to foster the learning of others. We have amazing talent in our chapter and everyone has an appetite for learning and generously sharing what they’ve learned with others. 3. Keep innovating. I once heard a leader say that if you start to feel too comfortable, you’re probably falling behind. While this statement applied to a startup, I find that it also applies to our profession and our chapter. Going forward, we will continue to pilot new programs and ways to connect to provide value to our members. It has been an honor to serve as the president of our chapter. 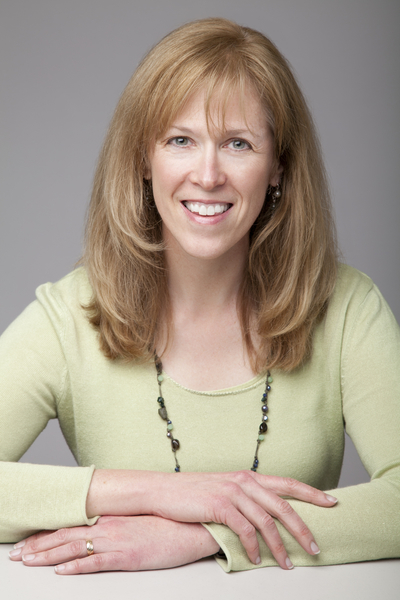 Please join me in giving Erin Clarke a warm welcome as President in 2018! We have exciting news—ATD national membership is changing in 2018! ATD members tell us that the number one thing they look to ATD for is professional development support. Our coming changes will allow you to enjoy even more of the resources you told us mean the most to you. 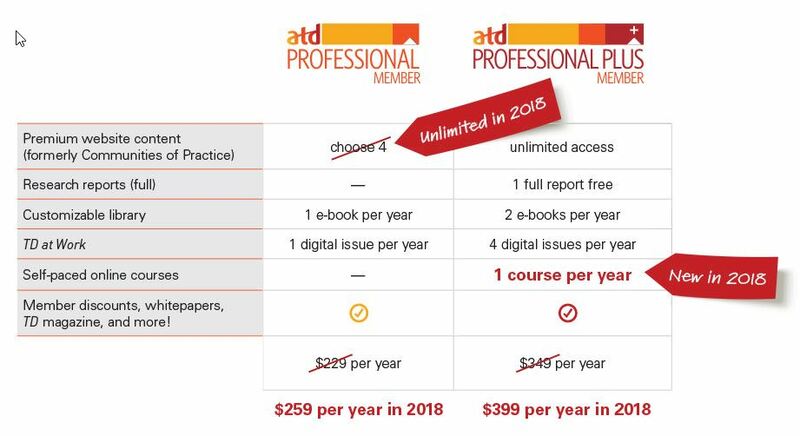 Starting on January 1, ATD Professional Plus members will have access to one ATD education program (self-paced, online, one of 11 options) to build skills and develop professionally. Additionally, ATD Professional members will now have access to premium website content on all 14 content topic areas. Learn more about these changes here. When renewing, don’t forget to add the ATDps CHiP code: CH8020. ATD National Membership – Sign Up Now and Access All the New 2018 Benefits! 21%. Congratulations to our 2 winners who will receive an annual membership renewal: Paul O and Sarah D! items as progress in this work and analysis continues. note to research@atdpugetsound.org. We welcome your feedback at any time. Join us in celebrating Employee Learning Week 2017 with the launch of a new members only program. Under the Hood is a behind the scenes look at what local talent development teams are doing in the Puget Sound area. Listen to SightLife share how they revitalized a three-day Power Point lecture series for new-hire orientation by gamifying the experience. Don’t miss the gamification workshop and after event happy hour. In November, ATD Puget Sound officially launched the new South Sound Chapter Meeting. This second monthly chapter meeting will bring programming to talent development professionals in the greater Tacoma area. ATDps members will have access to twice the programming every month, available in person or on the Member's Only section of our website. Join us for the December South Sound Chapter Meeting!